The Wooden Boat Museum of Newfoundland and Labrador is dedicated to safeguarding the skills and knowledge of wooden boat builders and recording the stories of their wooden boats. Through our Documentation Program, we continue to learn from tradition-bearers across the province as we build our exhibits, collections and archives. WBMNL recognizes the value of community partnerships as we work together to tell the story of Newfoundland and Labrador’s wooden boats within each unique regional perspective. We connect boat builders and enthusiasts and invite them to share their methods and techniques through our conferences and newsletters, and encourage them to enjoy their boats in the harbours. We strive to inspire others to learn the art of wooden boat building, to bring together our older generation with our youth to pass on these traditions as they have been for generations. Save the date! 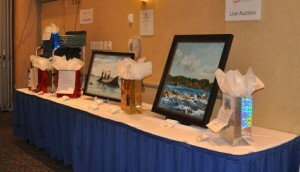 WBMNL’s biennial “Only a Boat” Dinner & Auction is an evening of entertainment in support of our wooden boat heritage. The night includes silent and live auctions, and raffles for lots of great prizes. 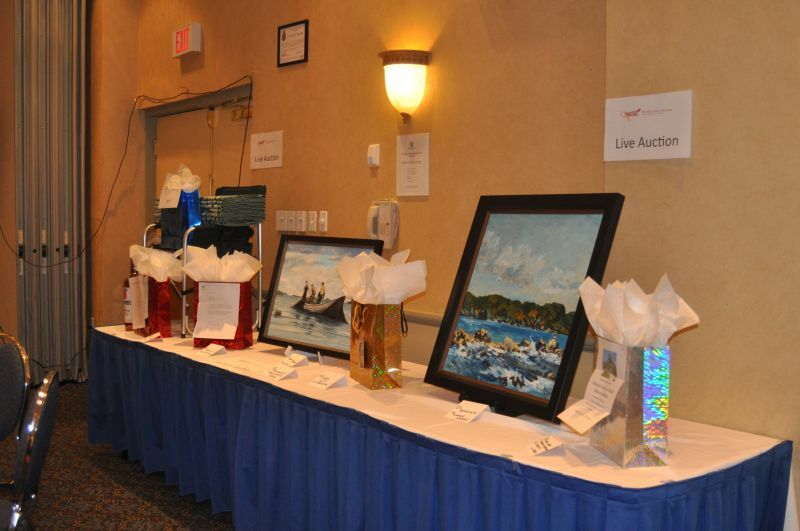 In previous years, auction and raffle prizes have included original artworks, concert tickets, dinner and hotel accommodations, airline tickets, and much more. All proceeds go towards WBMNL programs and initiatives dedicated to safeguarding the skills and knowledge of wooden boat building in Newfoundland and Labrador. The Wooden Boat Museum of NL paid tribute to Melvin Green at their Conference Dinner on Saturday, September 6th in Petty Harbour Maddox Cove. Melvin Green has dedicated the past 18 years of his life to ensure that the traditional wooden boat and the skills and knowledge of the men that built them would be preserved, safeguarded and exhibited for generations to come. Melvin was recognized as a “Founding Father” and received the Museum’s 3rd Honorary Life Membership. Melvin was further recognized with an Award of Merit presented by Museums Association of Newfoundland and Labrador on October 18, 2014. The Award of Merit recognizes significant contributions to the practice of museum and heritage work in Newfoundland and Labrador. It is awarded to an organization, agency, or individual for an outstanding, innovative or creative achievement in the museum, gallery or heritage field, or in any area related to the preservation and development of the provinces cultural heritage, including research, collection, documentation, exhibition, public programming and management. Honouring Melvin Green, WBMNL Founding Father from Wooden Boats on Vimeo.